Everything was great! 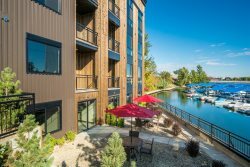 Thanks for your many wonderful amenities and quality environment - beaches, lake, boat rentals, convenience store, pet friendly, walking paths etc! Great stay! Beautiful view, very clean! Will definitely be back! Friendly staff. Property was well kept. Like the ideas that they do have recycle bins collection. Would stay again. Quiet and very relaxing atmosphere. Small town away from the big crowds. A lot of outdoor activities to enjoy. Clean and lovely decor. Waterfront and mountain view was the best. Close to the office and dining and convenience store. The cabin has what you need to enjoy your quick get away from kitchen wares to bbq grill. Everyone is easy to work with, friendly staff. Dover Bay Resort is our home away from home. For us, it is a way to get away from the city, traffic and all the people. We will be back! We love Dover Bay Bungalows. We have stayed in the Summer Breeze three times now. Its always clean and the location is perfect. The staff was super friendly and did a great job of answering questions and making us feel welcome and comfortable. I loved walking all the trails. I will bring my bicycle next time. My Matron of honor rented the cabin here for the weekend. It was the perfect place for my bachlorette party/ bridal shower. I absolutely loved this place. It is beautiful, fun and there is so much to do. Its an easy drive to Sandpoint, Schweitzer, huckleberry picking, etc. The staff is amazing and friendly too. I will definitely be back. The cabin was very clean, cozy and comfortable. I found the property to be peaceful and relaxing. I was very happy with my stay. Very professional and courteous. Thank you! This bungalow is by the water, close to the pool, restaurant, park and other amenities. It is a perfect location. Never had a question that wasnt answered with friendly courtesy. Great experiences build lasting memories. You helped mom and dad look good! We rented 6 bungalows for our family reunion and had a wonderful time! Built great memories! One son-in-law is a doctor and he said it was one of the best Family Reunions he has attended. Loved the location and water sports. So peaceful and the setting at Dover Bay Was breath taking. The whole community was well thought out attention to detail from the vegetation to layout of the homes. The cabin was extremely clean and very comfortable with 2 people. Very quiet. We thoroughly enjoyed our short visit. Everyone was pleasant, knowledgeable, and helpful. Staff in restaurant were attentive and courteous. Dover Bay is a gem. Its on a beautiful, serene piece of lakefront property. The cabin was modern and comfortable, with everything we needed, and the on-site dining and pool were fantastic. We rented bikes and rode into Sandpoint for lunch and a trip to City Beach. There is a paved bike path almost the entire way to downtown, which we thought was a huge advantage. We were traveling as a couple but would love to return to do this with our kids and will also consider for getaways with other families. I really did everything over the internet and phone. They were very friendly and helpful. It was comfortable and reasonably well stocked. We used 2 side by side cabins to house our 8 people, so it worked well. I was very impressed that each bungalow was air conditioned. The staff was helpful and friendly. The lake is beautiful and we loved being so close to it. Also very good that there are ample spaces to park the car, boat and trailer. The bunk beds were great for the young grandchildren. Very nice staff. Beautiful place. We had a nice time. The team was informed and willing to answer our questions, which we appreciated. Ceairra was very friendly and helpful. She was embarrassed that our paperwork hadnt been printed out ahead of time by the prior shift, but we didnt care! She swiftly took care of us and we were in and out of the office. We LOVE it! It was such a great vibe and so peaceful. We would definitely stay there again. The staff was very friendly and inviting. We encountered an issue with our shower curtain rod the second day and the maintenance team was on it very quickly. Everyone was easy to work with and we felt right at home. Our studio cabin was warm and inviting. We had a wonderful view of the water and enjoyed waking up to the peaceful property every morning. My late arrival was handled easily and professionally. Will definitely be back on my next business trip to Sandpoint area. This was the first time Ive stayed with you guys and I can tell you right now I will be back. It was a great experience from staff to the unit and just the overall vibe and location it was just really nice and relaxing. the unit was very nice and had good amenities. A great place for sure for a nice getaway.